Windows 10 gets its own AirDrop clone. Introduced way back in 2011, AirDrop made it easier than ever for iOS and macOS users to wirelessly share files between their devices. The process is as easy as choosing the file you want to share, then choosing the device you want to share it with. It’s taken well over six years, but Microsoft has finally caught up. The company now has an AirDrop clone of its own called Near Share. It’s baked into Windows 10 build 17035, which is now available to Insiders. Just like AirDrop, Near Share lets you quickly send documents, photos, and more with nearby PCs over Bluetooth. 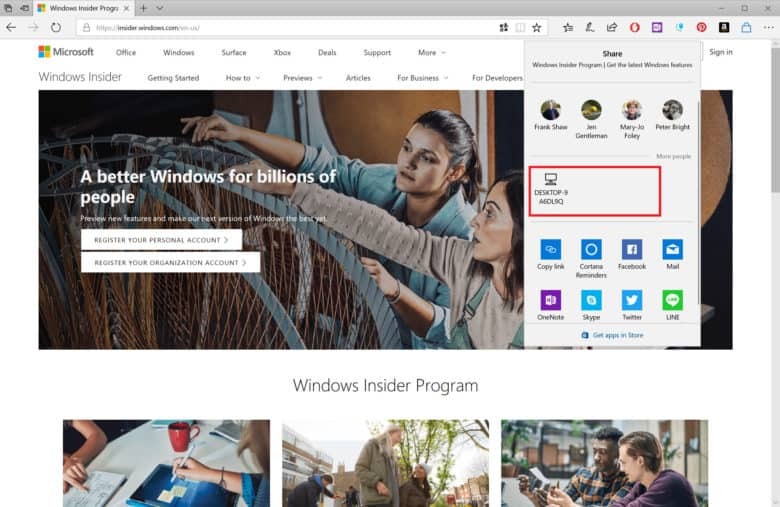 It can be accessed it from the main share function in Windows 10, as well as from the notification center, Microsoft explains. You’ll get a notification on your machine if you’re the recipient of a Near Share attachment. And you’ll obviously have the option to accept or decline it. This prevents people from sending random files to your machine when they’re close by. You can try Near Share today by installing the latest Insider build on your Windows 10 PC. You’ll need to sign up to the Insider program first, then check for software updates.